The MTX H615W is part of the Blueprint Series designed for use in home theater and distributed audio applications. These easy to install in-wall speakers provide an unmatched level of clarity for movies, television, and music. The H615W features a 6.5" woofer and 1" tweeter designed to deliver exceptional sound. 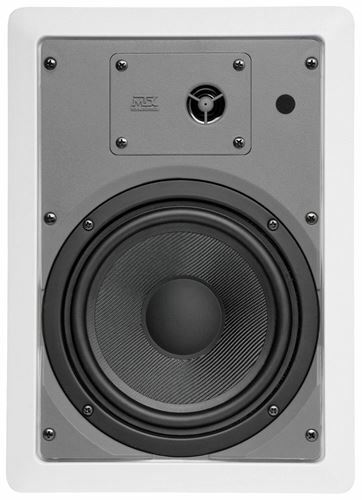 The woofer is constructed using glass fiber that offers an excellent stiffness to weight ratio that makes it very effective in moving efficiently while maximizing power. 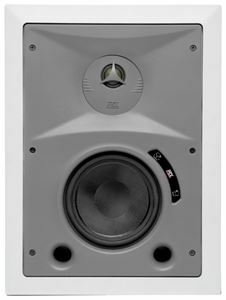 The cloth dome tweeter is capable of delivering the softest notes in the high frequency range so vocals sound crisp and clear without distortion. 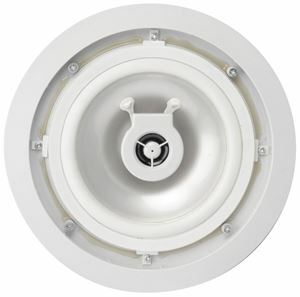 The H615W is easy to install with its dog leg mounting that allow it to be easily installed into most drywall sizes. 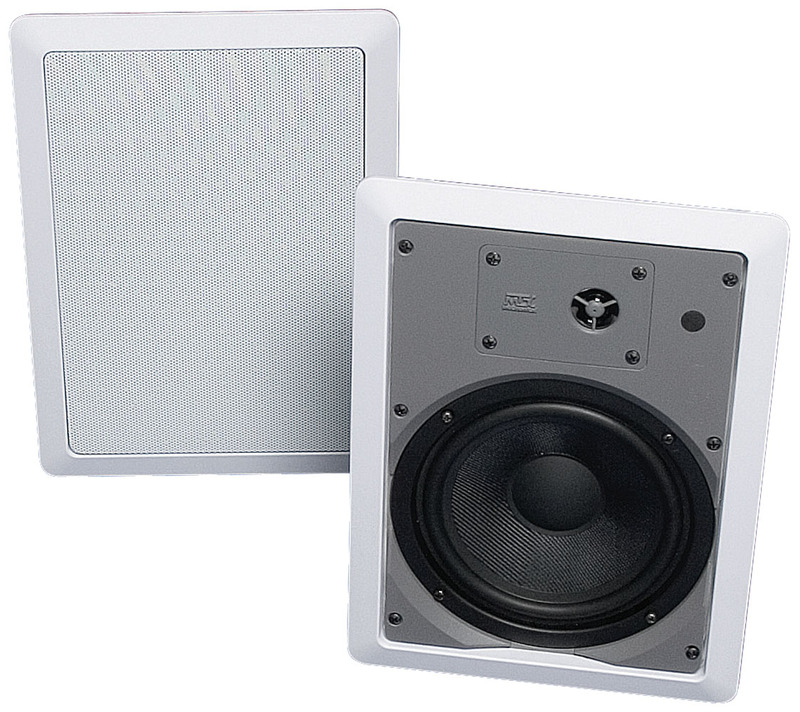 The unit includes a paint shield that allows the aluminum grilles to be painted easily without damaging the speaker itself. The compression terminals allow making connections to speaker wire quick and easy with an extremely close connection so you never have to worry about a wire coming loose. Our 30 day money back guarantee and a 10 year speaker warranty make the H615W an excellent choice for anyone looking to add in-wall speakers to their home whether it be for home theater or distributed audio in a bedroom, kitchen, or office.